Our USB family keeps growing! It’s my pleasure to announce that Paulette Wagner joined the USB family as a part-time Teller at Canton. Paulette has dedicated herself to being a stay at home mom for the last 15 years. She’s a Military spouse, married 11 years to Elvin, who is active duty Army National Guard. They are blessed with a son, Elvin IV, 15 years old and also have a Rat Terrier name Jaxs. 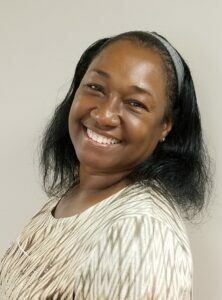 Please join me in welcoming Paulette to USB!